Welcome to the European Parliament website launched in the framework of the interinstitutional negotiations on the Transparency Register. 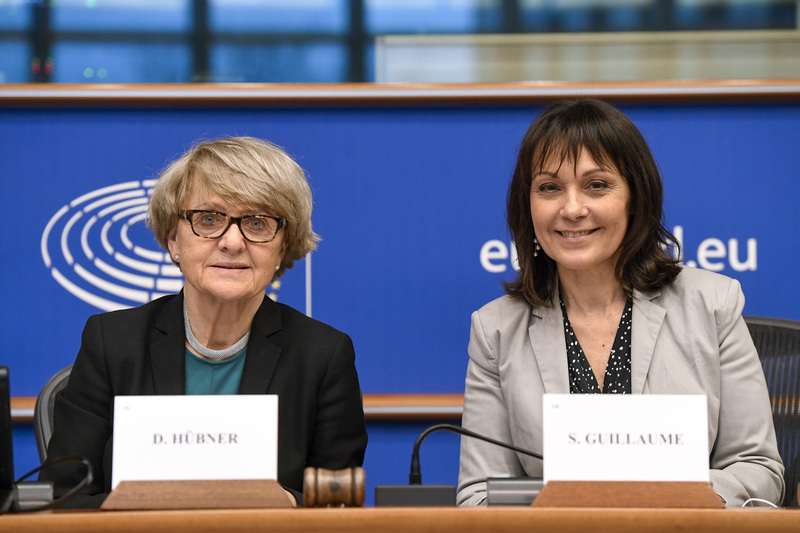 As lead negotiators for the European Parliament, we strongly believe that transparency is vital for over 500 million citizens to be able to place their credibility and trust in the European institutions. After all, it is the decisions made here, by the European Parliament, the Council and the Commission, which affect your daily lives. Therefore, we believe that transparency of the decision-making process is crucial. This is enshrined in the treaties, whereby the European Institutions are held to "conduct their work as openly as possible"(Article 15 of the TFEU) and shall "give citizens and representative associations the opportunity to make known and publicly exchange their views in all areas of Union action" (Article 11 of the TEU). As one of the tools to make this happen, the Transparency Register has been set up to answer core questions such as what interests are being pursued, by whom and with what budgets. Since 2011, the European Parliament and the Commission have jointly operated this voluntary database. We hope to further develop this useful tool and make it even more effective in the service of the European citizens, following a proposal for a new and stronger interinstitutional agreement, this time including all three EU institutions. For this very reason, we want to shed light on Parliament's work on this file and have set up this dedicated website. On 27 October 2016, the Conference of Presidents appointed us, as Vice President of the European Parliament responsible for the Transparency Register, and Chair of the Committee on Constitutional Affairs (AFCO), as Parliament's lead negotiators. Our primary task is to represent the Parliament at the negotiating table. In order to help us in this task, we prepared our negotiating mandate together with Members representing their political groups in a Contact Group of the Conference of Presidents, which we co-chair. Once the negotiations among the three institutions are completed, the Parliament's AFCO Committee will prepare a resolution on the interinstitutional agreement before a vote by the plenary. We will proudly be representing the European Parliament in the negotiations with the Council and Commission on building a new and improved version of the EU Transparency Register. The stakes have never been higher, and we are committed to making the negotiating process as open as possible. We need a transparency tool that has the potential to renew the trust of our citizens and strengthen the very foundations of our European Union institutions. We do hope that this website will enable you to follow the negotiation process and allow us to share with you the various issues discussed in order to achieve the best result. For the first time, the Parliament, Commission and Council are negotiating the creation of a mandatory EU Transparency Register. If the three institutions agree on the reforms, the registry will become compulsory and will include the Council. A video to explain the Transparency Register, where lobbyists declare their identity, aims and expenses, in under 3 minutes. You can send us your input and position papers (in all EU languages) via the email below, which will published on this website.